Something strange happened yesterday during my church’s celebration of the Lord’s Supper. My church is a standard medium sized evangelical church in a “red” state. Silence isn’t usually a part of our worship much less our celebration of Communion. Our church, as do most Baptist churches that I have been a part of, use the time when the bread and juice are passed out for a beautiful instrumental piece or even a reverent solo. Yesterday, there was no music during the delivery of the elements to the congregation. At first, I didn’t catch this but I did have a sense of something being different. Then, by the time our deacons were receiving their portion, it dawned on me that there was no music. No wonder I seemed to be taking this exercise more seriously. No wonder it seemed that the church as a whole was rapt with attention. Silence in my church usually comes with nervous clearing of throats and awkward motions in order to break the uncomfortableness of the moment and make it go by faster. I didn’t notice any of this yesterday, maybe I was too focused at the practice at hand. Normally, I would be lost somewhere between my need to concentrate on the sacrifice of Jesus and the distraction of the musical “performance” in front of me. Instead, I was moved to contemplation and reverence and my mind was able to focus on the impact and power of Jesus and his work on the cross on my behalf. It was a refreshing time of worship and participation. I don’t know if our pastor intended for this to happen (we are in between worship pastors) but the next time we have the Lord’s Supper and there is music being played in the middle of it, I think I will be wishing for a little more silence. – People are meant to live in an ongoing conversation with God, speaking and being spoken to. My wife and I will occasionally have those moments when we say exactly what each other are thinking. Our inside joke when this happens is to melodramatically quote a line from the late ’70s version of Superman, “Can you read my mind?” The answer to that overly sentimental question is yes. We have a unique connection that allows us on occasion be able to think in complete synchronicity. I don’t have that connection with everyone because I don’t know them as well as my wife knows me and I know her. So, the statement in this chapter about hearing God through knowing God makes perfect sense to me. I must have a deeper understanding of God in order to be able to hear from him consistently. – Read Colossians 3: 1-17 and then ponder verse 8 – But now you must also rid yourselves of all such things as these: anger, rage, malice, slander, and filthy language from your lips. I did this exercise after I jogged in my neighborhood. When asking the first set of questions, I was struck by the level of green that was before me and how the green of the grass and trees went so perfectly with the blue of the sky. I thought about how God designed his creation to work just right with all of its parts. This made me think that God created me to work just right with him and his purposes and plans. And when I surrender myself, and let Christ into every part of my being then I will experience a profound connection with him. What is Jesus teaching me? 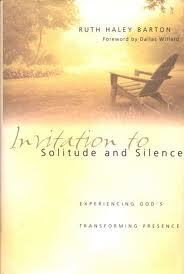 Silence and solitude teaches me all of the many ways that I seek to distance myself from God. Through silence, I am seeking out a place where there is very little between me and God. Silence is an excavation to find my heart in its truest form, not covered in distractions and falseness. Silence is the process of laying my heart at the altar of God and letting God go to work. Are you afraid of silence? What benefits do you think would come from more silence in your life? One of the things that surprised me about Jesus was how often he retreated by himself to pray (Ref. Matthew 14:23, Mark 1:35, 6:46, Luke 5:16). If there was anyone who could get a pass on their daily quiet time it would be Jesus; but we see him, often while it is still dark, spending time in prayer. He often was so removed that his disciples had to go look for him. What a great lesson for us. Jesus’ time with his father was his power supply for his ministry. He needed time alone in prayer and listening to God in order to live out his mission to the broken and hurting of this world. Wouldn’t I benefit from a few moments alone with God. What kind of difference would that bring to my work, family, and life? – Spend time pondering 1 Kings 19: 11-12 – Then a great and powerful wind tore the mountains apart and shattered the rocks before the LORD, but the LORD was not in the wind. After the wind there was an earthquake, but the LORD was not in the earthquake. 12 After the earthquake came a fire, but the LORD was not in the fire. And after the fire came a gentle whisper. I stumbled across this documentary last January through our Netflix account and watched it through their instant access. In the documentary, all you watch are the days and nights of a Carthusian monestary in the French Alps. There is no narration and since the monks do not talk except for designated times, there is very little dialogue to follow. You are simply watching these monks as they pray, worship, and work. It is not for the faint of heart. I “watched” it during my morning workout over a weeks time. I don’t know anyone who could watch this at its two hour plus length without falling asleep. Maybe that is part of the point of the movie. It is a kind of litmus test to where our heart is. Lauren Winner shows it to one of her classes at Duke Divinity School and she states that her students get angry about the film. I guess silence isn’t always welcomed. 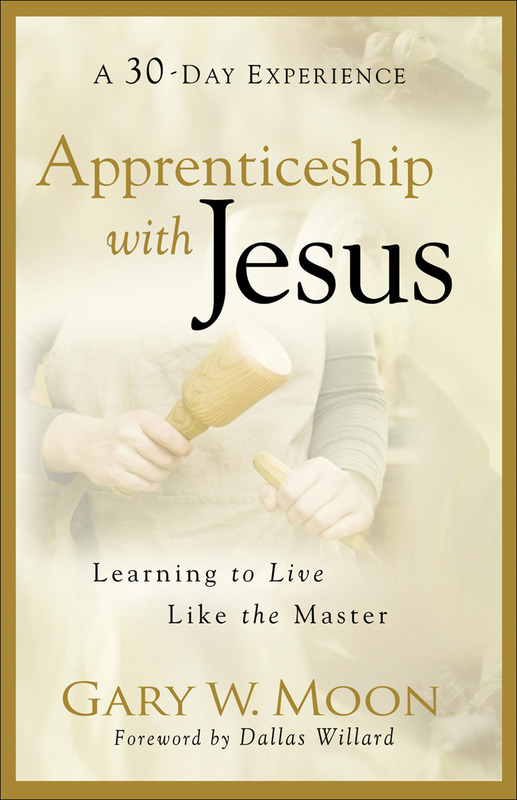 What is Jesus teaching me? Through this study and through watching another documentary entitled Be Still, I am learning to spend more time listening to God. So much is said about prayer, as in the request variety, but very little is said about listening for the voice of God. I am trying to be more intentional in making space to listen to God. Do you talk at God but fail to listen to him? Would you even know how to go about listening to God?